When should mid-course evaluations be done? How to carry out mid-course evaluations? You can still make adjustments to your course and improve the learning experience of your current students. Students are more likely to recognize the value of course evaluations and thus also complete the MERCURY end-of-course evaluations. Early enough to be able to respond to feedback; typically sometime between weeks 4 and 7 for regularly scheduled courses. Instructors can create an anonymous online survey on myCourses. They are easy for students to complete, the comments will be legible, and it is possible to download reports. Learn more about surveys in myCourses. Instructors can create an anonymous discussion topic in myCourses. Take note that instructors should select the option to "Allow anonymous posts" when setting up the topic. Instructors should inform their students that in order to send anonymous feedback, they should select the checkbox to "Post as Anonymous" before posting. Learn more about Discussions in myCourses. Instructors can use the Polling @ McGill service to solicit anonymous mid-course evaluation feedback. Polling @ McGill (previously known as clickers) is a technology-supported questioning strategy that allows for both multiple choice and open-ended questions. Please note that each question must be set to anonymous and you should configure your polling session so that results do not display in front of students. At the end of class, instructors can ask students to pull out a sheet of paper and take one minute to answer a question, such as "What single thing could I change about my teaching that would improve this course for you? " Students then submit their paper to the instructor. Instructors can also receieve oral feedback from the students as a group (as opposed to individual feedback). To ensure anonymity and allow students to speak freely, instructors leave the class for 10-15 minutes. In large classes, students should split into groups of no more than 20. Each group selects a facilitator and a reporter and discusses constructive suggestions for the instructors (and TAs where applicable) to improve the course. The reporter records the feedback and reports to the instructor immediately after class. We recommend that instructors agree on some guidelines with the students beforehand. Detailed instructions for Small Group Instructional Diagnosis. The focus should be on areas where instructors are still able to make changes. 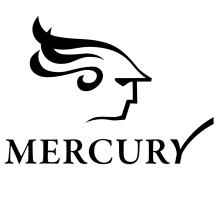 Questions pertaining to future course offerings should be reserved for end-of-course evaluations (Mercury) because students need to see that their feedback has an actual impact on the course. Mid-course evaluations should not be long and complicated. We recommend three to four open-ended questions that address different areas of the course (e.g., content, presentation, learning environment/atmosphere). What do you like best about the course and the instructor's teaching? If there was one thing that you could change about this course, what would it be? Do you feel comfortable expressing your opinions or asking questions in this course? Any specific areas of change, for example: Should we continue the online discussion forums? Do the voluntary review quizzes/other practice tools work for you? What could you do to make the course better for you and the instructor? Is there an area where you would need more guidance/support to enhance your learning? Click here to see a sample mid-course evaluation from the Faculty of Engineering. The Comments Analysis Worksheet is intended for instructors and Teaching Assistants to help organize and make sense of student comments. To help derive the most benefit from the student feedback, we encourage you to discuss them with a trusted colleague, your academic unit head or someone from Teaching and Learning Services (TLS). You should take some time to respond to the student feedback in the week following the evaluation. Comments in the on-going discussion board should be referred to in class and discussed as appropriate. This could be in the form of a brief summary of the main points raised by the students and ways in which you plan on addressing them. If you will not be making changes to the course, you should still acknowledge the feedback and briefly explain the reasons for keeping the status quo. Students should feel that their feedback is valued, even if it does not lead to changes. Students should be encouraged to provide follow-up feedback on the end-of-course evaluation (MERCURY).